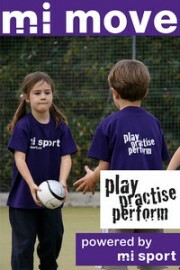 Choose from 8 sports – each with 250 animated Games, Activities, Practices and Skills. mi move is an interactive, easy-to-use tool to support coaches and teachers develop children’s movement competency. Dozens of child centred activities are organized by outcome as well as stage of development to allow the practitioner plan and deliver a session to meet the needs to the children in the class/group. Active Sport – Games & Practices is a multimedia resource providing access to activities and games that are suitable for use in a wide variety of environments and across a range of ages and abilities. One easy to use computer program, suitable for all ages and abilities. Currently used World-wide by top coaches for planning sessions. Perfect for UKCC Level 1 & 2 coaches and PE teachers. The original and unsurpassed software for animated Basketball Games, Activities, Practices & Skills.